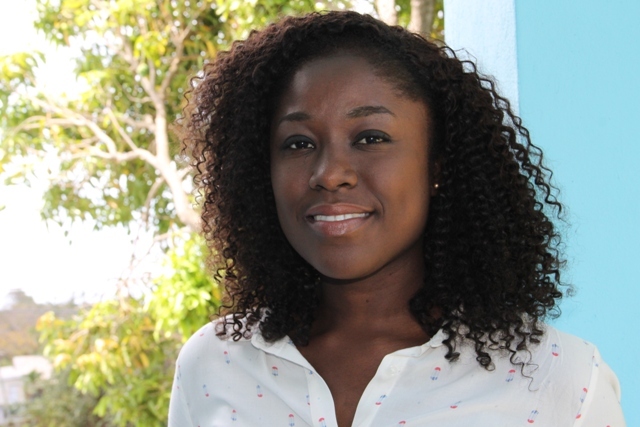 CHARLESTOWN NEVIS (May 04, 2016) — Chairperson for the Ministry of Tourism’s Exposition Nevis Tamica Lawrence says activities showcasing the island’s tourism product, under the theme “All things Tourism, Savour the Flavour,” are going well. She told the Department of Information on May 04, 2016, that Rhythm and Arts, another event slated for May 06 to 07 will take place at the Riviere House on Government Road. It is one of several on the month-long calendar of activities, however, it will throw the spotlight on the island’s artists and entertainers. “The events have been going well and we expect to have a relaxing, packed and fun-filled night. It’s basically an opportunity for our local artists and entertainers to showcase their talent and to get the Nevisian public and visitors to see what our island has to offer,” she said. According to Lawrence, the event will be semi-formal. It will commence with an open house gallery from 9 a.m. to 6 p.m. showcasing the work of Vaughn Anslyn. All displays will be available for sale. From 6 to 7 p.m. there will be a welcome reception. Music will be provided on steel pan by Babatungi. At 7 to 8 p.m. there will be a rum, wine and cheese tasting hosted by local distributor Mark Theron of L&L Liquors. The work of entertainment artists will begin at 8 to 10 p.m. Patrons will be entertained with poetry from Earl Hanley and Sheryl Sutton; storytelling by Chesley Manners and singing by Garlic, Deli Ranks, Nayala and Shane with Jazzique on piano. From 10 p.m. to 3 a.m. the Green House Band will provide entertainment for dancing. Lawrence noted that the admission fee is $25 in advance and $30 at the gate. Tickets are available at the Ministry of Tourism at Bath Hotel and at Riviere House. Exposition Nevis was launched on April 13 and will end on May 28, 2016. It replaces the Ministry of Tourism’s annual Tourism Awareness Month of activities. Lawrence noted that the Ministry has partnered with other local events among them the Jessups Seafood Fiesta, the Nevis Blues Festival Committee, the Hanley’s Road Fisherfolk Association, the Booby Island Regatta and Winfes to bring greater awareness of the way of life in Nevis, its cuisine, arts and entertainment.